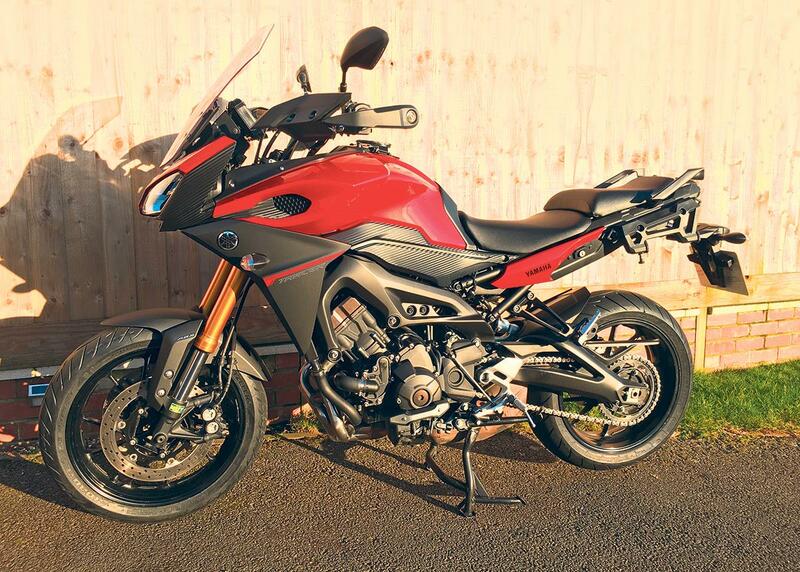 ﻿ Long term update: Can a 'budget' bike keep winter at bay? The Tracer is a big seller and is the kind of bike that will happily work through all seasons of riding but just how well does a bike costing just over £8000 really hold up against winter? Preparation for the colder, salt-laden months was helped by the standard adjustable screen and handguards and the Yamaha accessory heated grips (£145), which are excellent, good value and have three temperature settings. Protecting me from the cold was one thing, but fighting corrosion took more effort. I’m a huge fan of ACF-50 anti-corrosion treatment and have used it for years, but I’ve been trying a new product called XCP Rust Blocker (£14 for a 400ml can) which the makers claim is powerful enough to fight off damage caused by salt. The first step was to clean the bike before applying the Rust Blocker everywhere bar braking surfaces and tyres. The aerosol cans come with a long, bendy nozzle for hard-to-reach areas and it was easy to apply. For two weeks I held my breath. To get a true idea of how good the treatment was I’d only given the bike two rinses with a hose. It was a slightly nerve-racking moment when I treated the bike to another thorough clean. The results were amazing. There was simply no corrosion whatsoever, even on parts such as banjo bolts, brake disc bolts, hose fittings, chain and sprockets or any of the engine parts. There were only two issues I could see. The first was with burnt-on residue on the stainless exhaust downpipes (which could easily be avoided by not spraying it on parts that get super-hot) but they came up perfectly clean after some effort with a plastic pan scourer. The other issue was not so easy to solve and came about because the XCP leaves behind a slight tacky finish, which is enough to cause small bits of road grit to stick to the bike. Underneath, however, the bike was utterly unmarked by corrosion. After more than 1000 miles of winter riding this year the Tracer held up well. Combined with the corrosion protection spray, the Yamaha’s winter performance sticks another feather in the cap of an already excellent all-rounder.